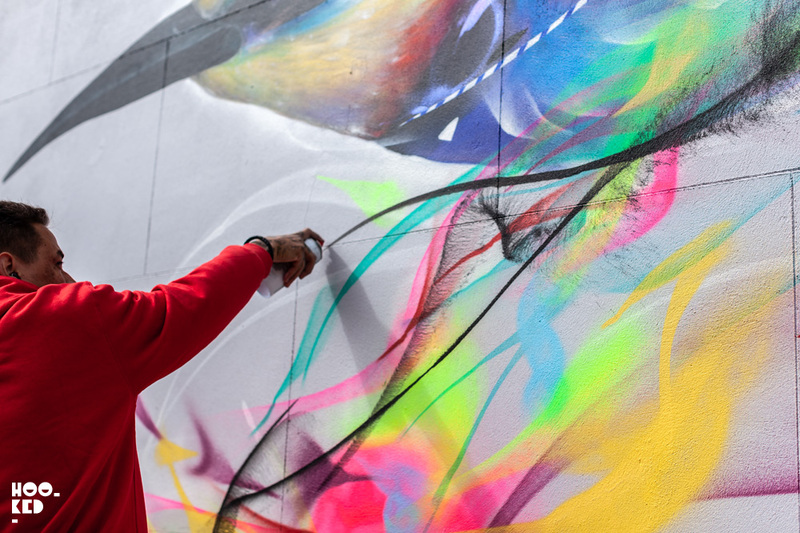 Festival founders Andy ‘ Dice ‘ Davis and Angela Parks have in just two years managed to put the city on the map as a must visit UK street art destination, with their Cheltenham Paint Festival now joining the cities other well-known annual festivals. 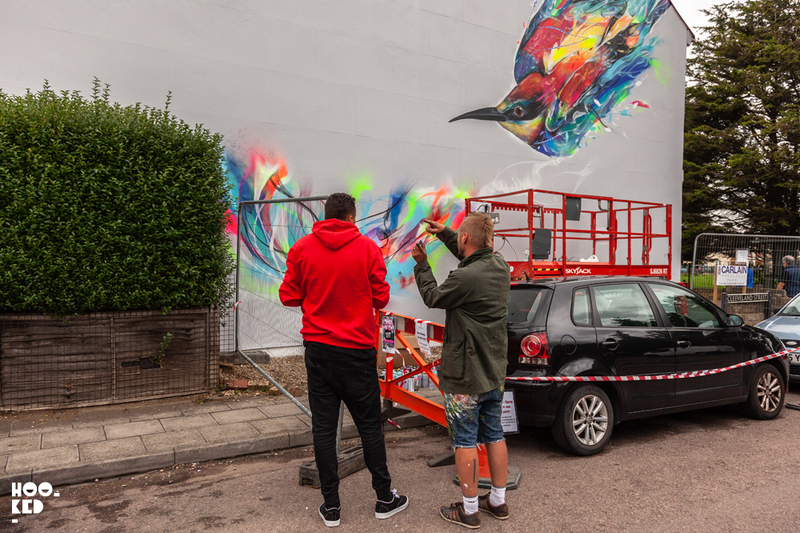 The second edition of the Cheltenham Paint Festival saw the duo invite back a number of street artists from the 2017 edition, whose works they personally enjoyed as well and we well received by the cities residents. Among the returning street artists was Portsmouth based My Dog Sighs who we have already featured in a post showcasing some of the hidden pieces My Dog Sighs painted around Cheltenham in addition to the official mural he painted. Another artist who we managed to catch up with over the few days we spent in town was South American street artist L7M who is currently based out of Paris. We were first introduced to the work of L7M or to use his full name Luis Seven Martins by fellow South American Anselmo Martins Dutra from Pigment who invited him to London to paint some murals in Islington and Shoreditch. 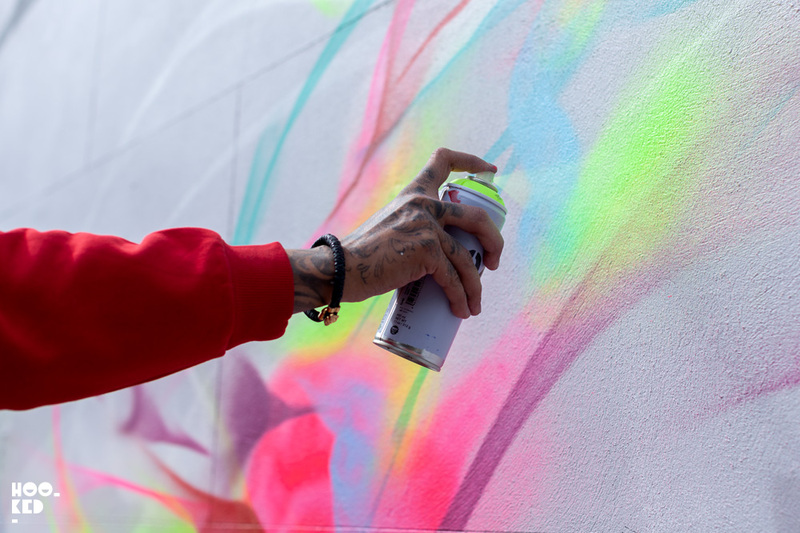 This was about back in 2013 so for us it was great to catch up with the artist and hear what he has been up to and to see how his line work has progressed since that first London visit. Working on the gable end of a house located a short distance outside the city center we spent a few days checking in on L7M at regular intervals as we crossed the city on foot back and forth between the various locations taking photos of the many artists who were working throughout the week for the festival. 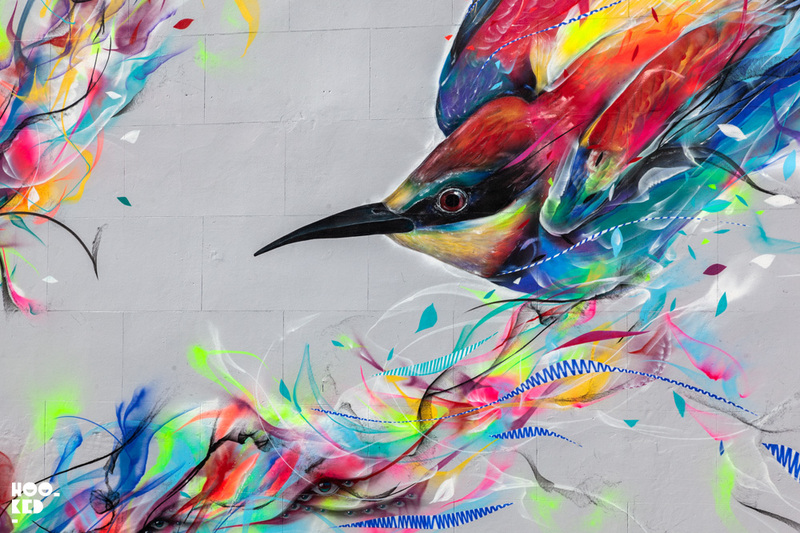 Bringing some of that vibrant South American colour palette to the U.K. L7M’s mural featured one of his signature birds in mid flights across the wall. 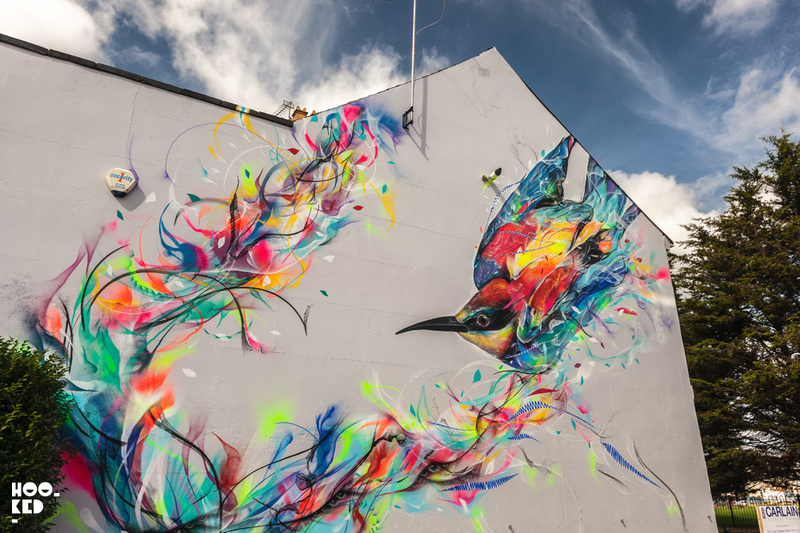 Following some discussion, L7M invited festival artist My Dog Sighs to collaborate by incorporating some of his own work into the bird mural. My Dog Sighs painting a small series of eyes which he painted into the waves of colour surrounding the bird in flight. 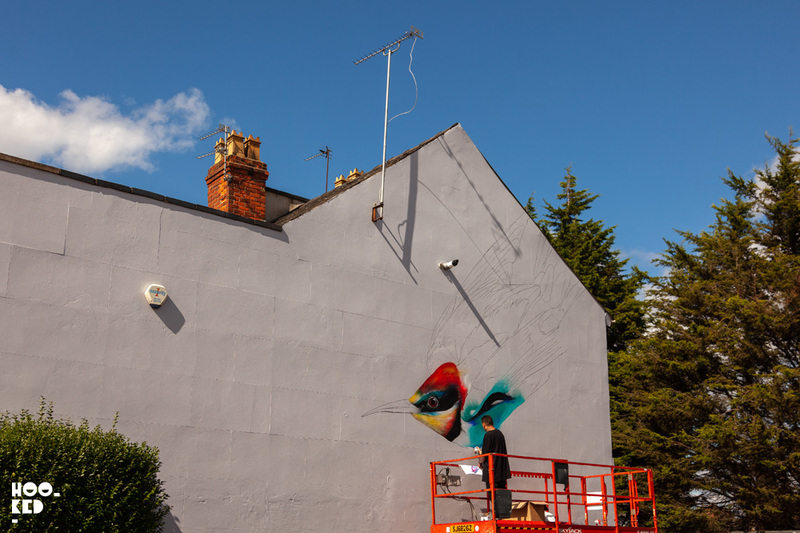 Check out the collection of images we took of the two artists at work and images of the completed mural. 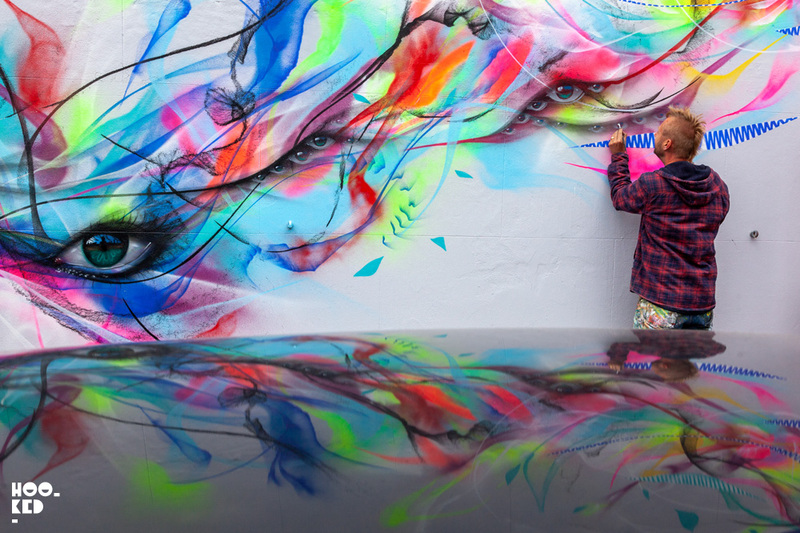 Artists L7M and My Dog Sighs discuss their plans to collaborate on the mural for Cheltenham Paint Festival. 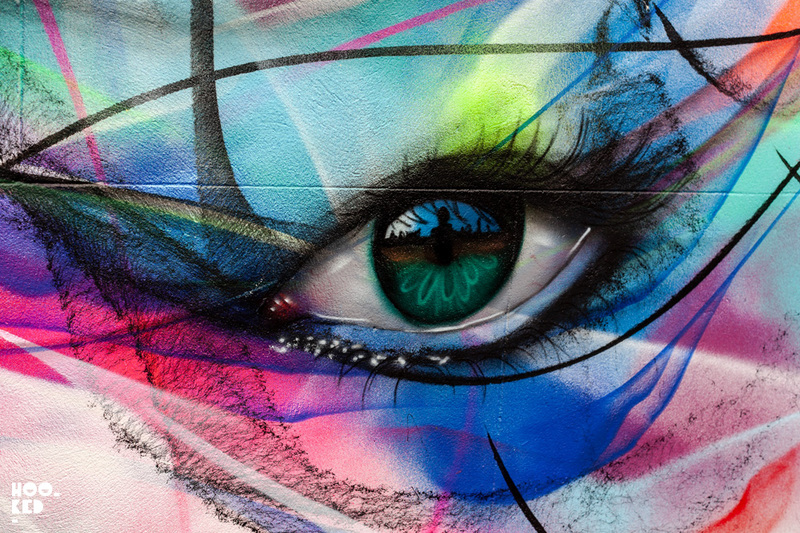 With plans discussed and mapped out artist, My Dog Sighs begins to add some of his signature eye pieces to the wall incorporating them into the waves of colour on L7M's mural. 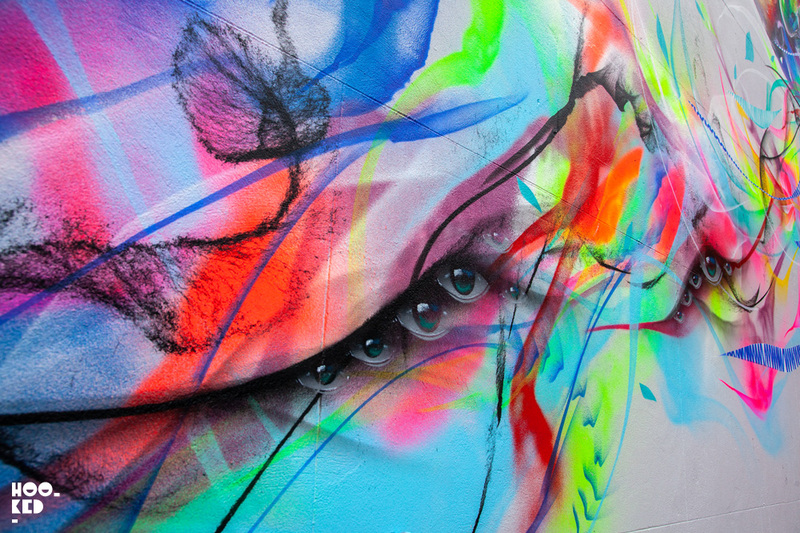 Close-up detail shot of the largest of the eye pieces artist My DOg Sighed added to the L7M mural. 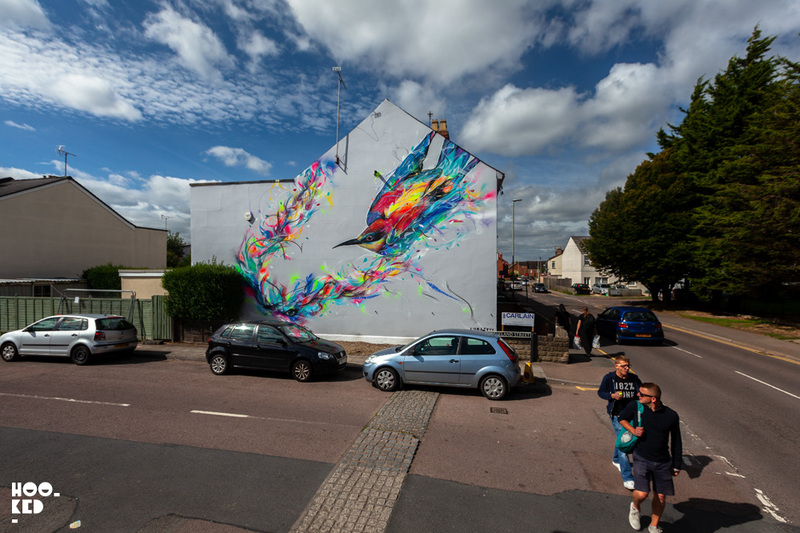 The completed mural by L7M with additions from artist My Dog Sighs finished on the 9th September 2018 in Cheltenham, UK. If you would like to see the mural in person you can find the completed mural located on Cleeveland Street just outside the city centre.